With a firm commitment to quality, our organization is engaged in trading a wide range of Oreva Plastic Clock. We introduce to our clients a compendious range of Premium Collection Wall Clock 6091 Wood. These wood clocks are high durable, robust in construction, reliable and can be availed at economical prices. Moreover, we provide customized solutions with our range so that the clients have wide variety to choose from. 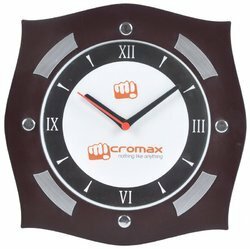 Our renowned clients can avail from us the most preferred range of Plastic Wall Clocks. 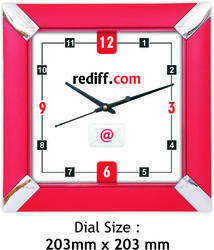 These clocks are highly appreciated for their attractive designs and give an enriched look to the wall. We offer these in diverse specifications in terms of designs, colors, size and make. Multi Magic Trading Pvt. Ltd. Dial Size: 7" X 7"